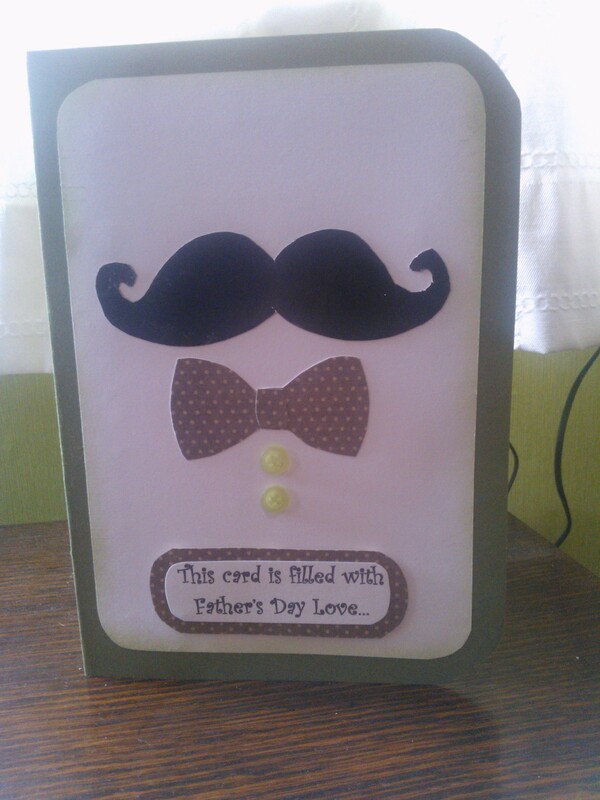 Now that Father’s Day has been and gone I can post this card without the fear of the hubster seeing it. 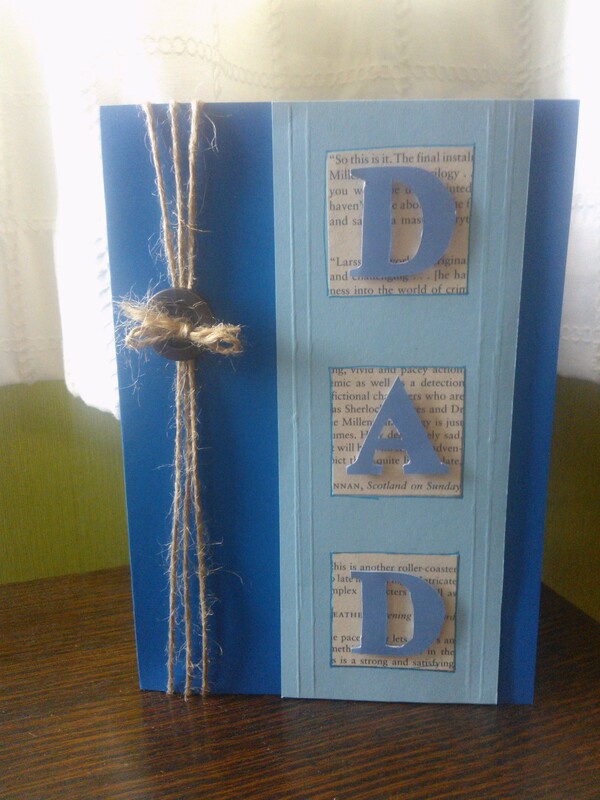 I copied a design from one of my craft magazines, not sure exactly which one, but I think it may have been DoCrafts Creativity magazine (which I may add only costs £2.99 from The Range instead of £4.99 everywhere else – bargain – the free gifts alone must be worth almost that!!). 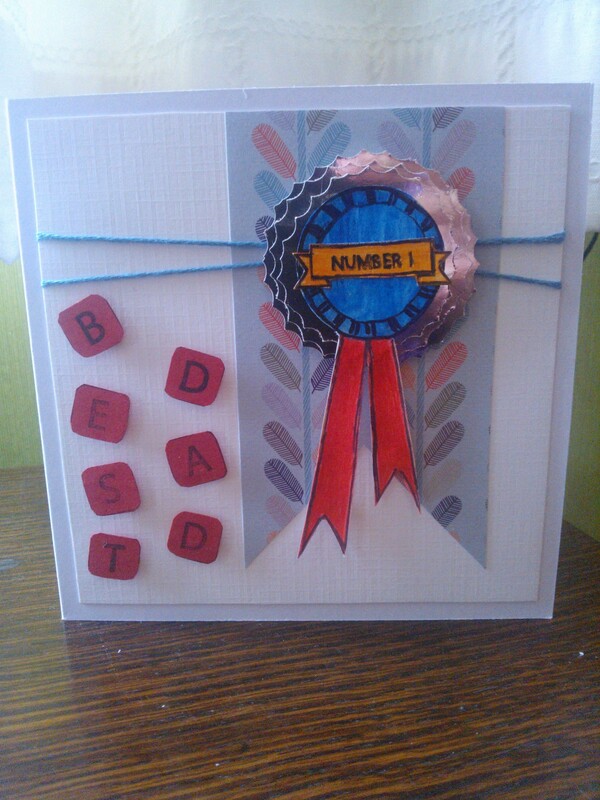 Anyway the hubster loved his card and had a fabulous day.